Is This The Next iPod Nano? When Apple last updated the iPod Nano in September, it shrank the player down to the same size as the Shuffle, gave it a tiny touchscreen, and called it a day. According to a new rumor, the next version of the Nano will retain the same form factor but will include a rear-facing camera. 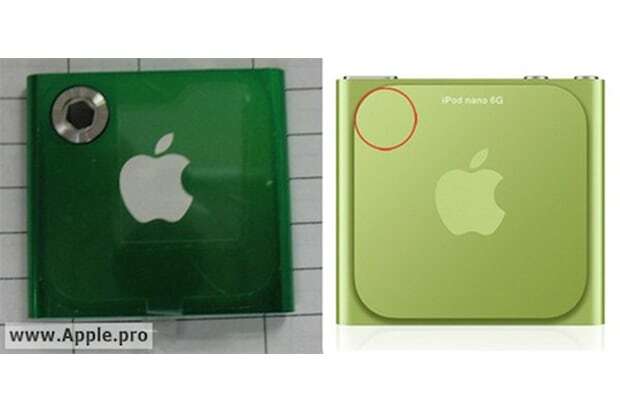 Oddly enough, though, the pictures, found by Taiwanese site Apple.pro, don&apos;t show a rear clip. The rumor says the camera will be 1.3 megapixels—extremely low compared to most consumer devices, but would be adequate for low-grade video capturing. If the rumor proves to be true, it will probably have the new Nano only capable of recording video, and not able to take still photos.